"The place was reasonably clean." Have a question for Hello Hostel? Whether you're a tourist or traveling on business, Hello Hostel is a great choice for accommodation when visiting Bangkok. From here, guests can enjoy easy access to all that the lively city has to offer. Also within easy reach are Wat Bowonniwet Vihara, Overseas Tailor, Chaopho Khao Tok - Chaopho Pantai Norasingh Shrine. 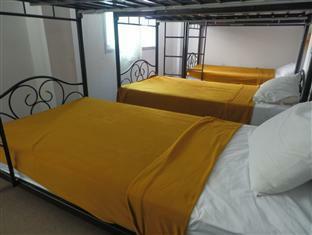 Hello Hostel offers impeccable service and all the essential amenities to invigorate travelers. A selection of top-class facilities such as free Wi-Fi in all rooms, Wi-Fi in public areas, restaurant, laundry service, coffee shop can be enjoyed at the hotel. Hello Hostel is home to 11 bedrooms. All are tastefully furnished and many even provide such comforts as internet access – wireless, internet access – wireless (complimentary), air conditioning, desk, fan. Besides, the hotel's host of recreational offerings ensures you have plenty to do during your stay. 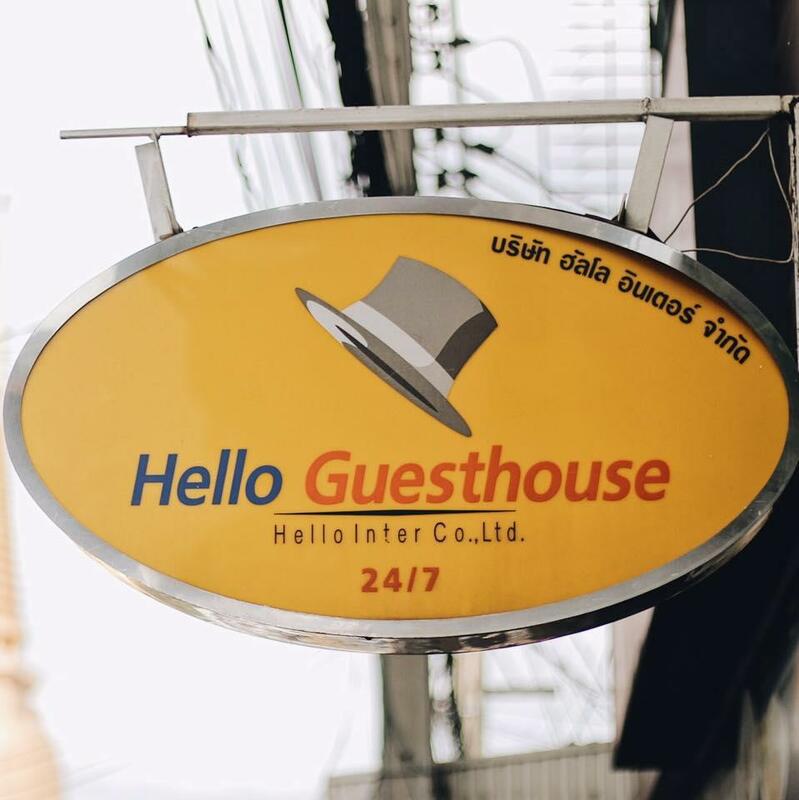 Superb facilities and an excellent location make the Hello Hostel the perfect base from which to enjoy your stay in Bangkok. please read my previous reviews on hello hostel.It was cheap but filthy.one thing i will mention to fellow travellers do not go to the bar in the next road tn rambuttri.I and a few of my companions drinking there got ripped off buying beer there.Gave the guy a 500 tbh note and he gave us change of a 100 tbh note.when we remonstrated with the owner about it he asked us to leave and not come back.great customer service lol.Of course we were happy to comply with that. it was extremely hot in the dorms the fans didnt oscillate properly.the tolets were absolutely filthy.The staff were apathetic and not interested in customer service.We had a shared bathroom toilet blocked with faeces had to tell the staff 2-3 occassions to come un block it before it all overflowed onto the floor.Wouldnt recommend unless you like things a bit rough. dirty rooms. kinda smelly a bit when i was there. the bathrooms were dirty. and there was this guy in my room that went out barefooted and came back late drunk all night. so the bathrooms and room floors were extra dirty. i know its cheap. but they could at least clean and remove things previous travellers left behind. the place is kinda noisy especially at night. sometimes car alarms misfire. dont stay here if loud noises get on your nerves. Close to khaosan road but quite enough to sleep. Tuk tuk couldn't find the hostel but he asked locals and we found it in te end. Clean rooms. Close to the touristy areas but quiet enough to sleep and cheap. Staff struggled to communicate with language barrier and one woman in particular very rude, but no big deal. Reviews said it was dark and dingy but we were only there at night so we didn't notice it. Booked to stay again for one night in April. Terrible, the stairs are dangerous and loose the shower was not hot, the air con was in the wrong position and didn't cool the room the door could be opened when locked?? The other people where loud and banging with nothing done. The staff were rude uninterested and unhelpful. And the price was ridiculous considering. close with downtown. really cheap. only that. From check in i found the lady at the desk to be very unhappy. She told me the rules and regulations then slammed the key down infront of me. The beds in the dorm were okay althought the bathroom was very dirty and smelled.For an extra 2 or 300 baht you can find a nicer place with a Tv, clean bathroom etc. I recommend you use the airport link train to Phaya Thai then a taxi, total cost of 120baht instread of 500baht for taxi the whole way. It's a comfy bed for a few nights in BKK, near Th. Khaosan. Some of the staff were less than friendly, and helpful (but I didn't know much Thai.) The internet connection is a bit slow there. The bathroom needs to be cleaned more often! I'd saty there again, but not in the shared bathroom dorm. I booked Hello Hostel at the last minute and mainly booked it since it was just across the road from the hostel I was staying at the night before. I didnt find the staff too friendly but thats mainly because we had Thai/English communication problems. I booked a dorm room but because no one else was staying I had the room all too myself. Most importantly it is cheap and has air con which as a backpacker is all you need. Really close to Khao San as well for visiting the Grand Palace and all the Wats and has good shopping and nightlife options. i decided not too take a taxi or tuktuk for the duration of my stay in bangkok so it was a challenge for me to look for this place. after getting of hua lamphong mrt station i took the bus going to khao san road. it was almost a 40minute travel because of the traffic. after getting of the bus, i asked some thais and thankfully i was directed to the right place. its like a 5 minute walk from khao san road. at the end of the street. the big hello hostel sign is very visible so its impossible for you to miss it. . i actually stayed in an 8 person dorm room, and during that time there were only 3 of us, the room is quite ok, 2 bathrooms in a room so no problem who goes first. 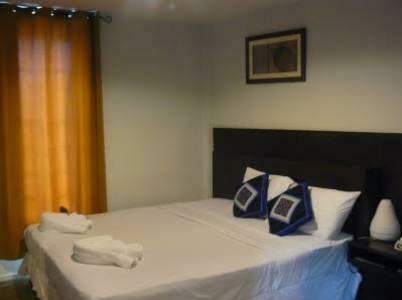 The hostel is located in a very good location to start your tour of the old Bangkok. Temples and palaces are no more than 5 mins taxi ride. The dorm is clean enough. It was not too busy during my stay so the shared bathroom is ok.
Hello Hostel is in a great location near the action of Khao San Road, but on a slightly quieter street. The front desk staff was a bit scattered when it came to the check-in and check-out process and were a bit rude when you asked them for any additional assistance. I had my laundry sent out through them and three items were missing upon return. They were able to track them down the next day, but be sure to check if you do the same. Hello hostel is a very nice and good location hotel. 5 min from khaosan road. The area is not so noisy as other parts of that area, so you can easily sleep. Nice and friendly staff. The rooms are okay, very basic, but clean. It was ok, but nothing special. Quieter than Khao San Rd, but very close. Good market on the street. The desk guy doesn't speak any English or know where anything is, which was really annoying, but otherwise friendly. Stayed here for a few nights in Bangkok.it suited my needs and even the dorm was quiet and peaceful. It was pretty cheap at 200 Bhat . I might stay there again and they had great free wifi!!! If you're looking for a basic dorm-room hostel near Khao San for a few days, this one ought to be perfectly fine.